This star is one of the coolest projects I have done this Christmas! It is quite easy to create, and makes such a rustic and still modern statement. You need a big piece of construction paper and one plaster bandage. 1. Start by drawing a deltoid form. 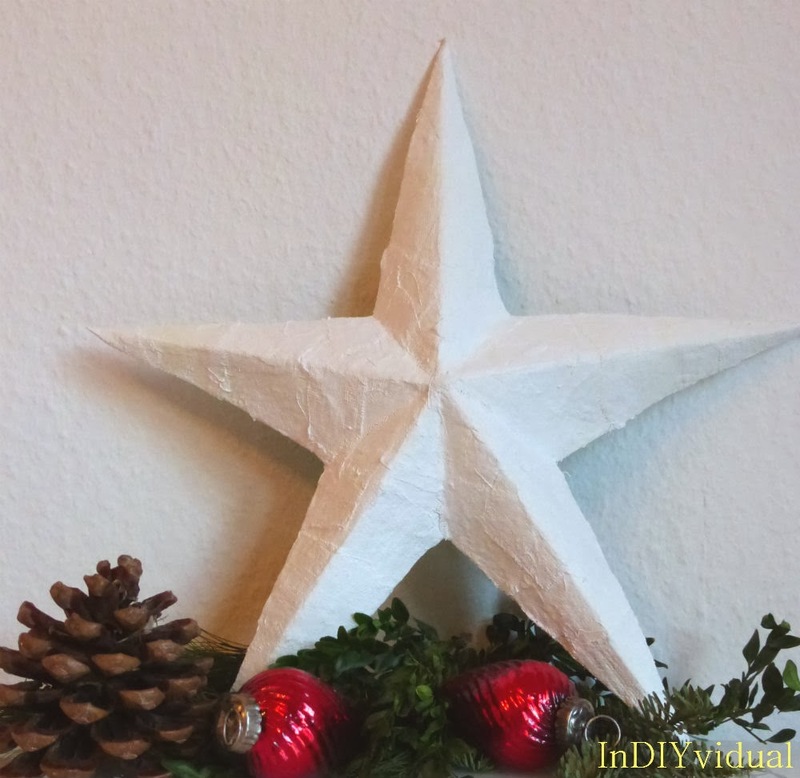 Add small strips to the smaller sides - these will help you glue the star together. You can adapt the size to create smaller and bigger stars. 3. Fold a ridge along the middle and fold the strips to the inside. 4. Use the deltoid with the folded in strips to draw another four rectangles. 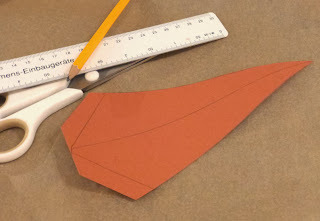 Cut them out and fold them as well. 5. Glue the deltoids together by their strips. 6. Now cut the plaster bandage into pieces. 7. 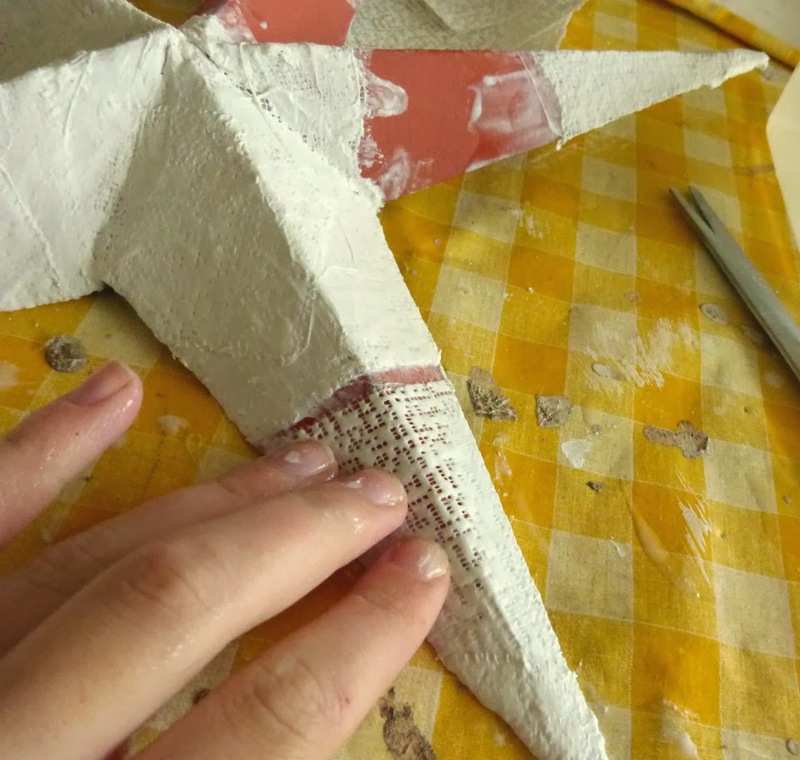 Dip one piece in water, put in on the star and rub along the surface to spread the plaster. 8. Keep going until the whole star is covered. Be sure to wrap some bandages around the edges. It is okay to do several layers, and rub in the plaster more on one piece of bandage and less on the next - it all helps to create a lively surface with a wonderful play of light and shadow. 9. Let the star dry slowly. 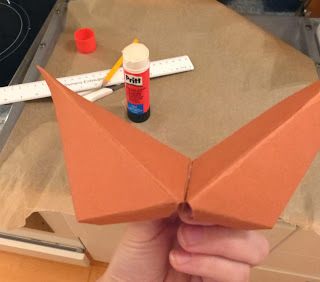 Have you done any cool crafting with plaster bandages? Very cute! I just made a star out of cardboard and paint. Neat idea to texture it.